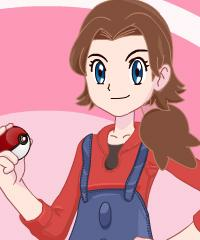 Put Toghether a super girly chic Pokemon Trainer Outfit in this fun dress up game. Did you know that Pokémon properties have been merchandised into toys, books, anime, manga, trading cards and all kind of other media. The Japanese word Pokémon means Pocket Monsters.